Are you ready to vote on November 4th? 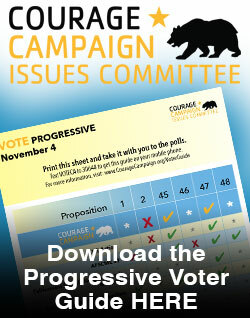 Check out our Progressive Voter Guide to learn what California's most trusted progressive organizations think about each of the SIX measures on this election's ballot. Click on the image below to download the voter guide as a PDF. We encourage you to print it out and take it to the polls with you on Nov. 4th! Please share it with your friends! Text "VOTECA" to 30644 and get the voter guide on your mobile phone. Also, fill out the form on the right to automatically receive our 2016 voter guide.